Thank you to all our backers for making this possible. 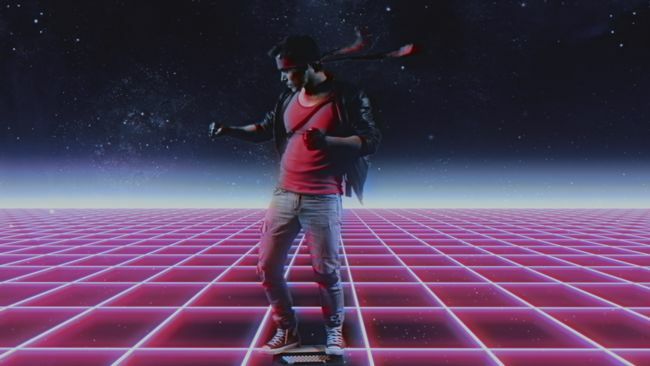 The short film Kung Fury is a homage and a love letter to the 80's from the director David Sandberg. Miami Police Department detective and martial artist Kung Fury time travels from the 1980s to World War II to kill Adolf Hitler, a.k.a. "Kung Führer", and revenge his friend's death at the hands of the Nazi leader. An error in the time machine sends him further back to the Viking Age. The film is now available for free! Follow our production diary to see behind the scenes videos and our journey towards future projects. Check out our pecs...I mean pack. HERE: http://bit.ly/1SkYkJq. You can tell all your friends now how you really feel! or show that computer who is the boss! Also our epic JACKET from the "True Survivor" music video https://youtu.be/ZTidn2dBYbY is now available at https://shop.kungfury.com/ of which 1000 were produced in Limited Edition. Ships worldwide and shipping included. Plus Mitch Murder wrote an exclusive song for it, that is totally awesome! And finally, the home stretch of manufacturing our Kung Fury Blu-Ray and DVDs to fulfill our insanely patient Kickstarter backers is so close! If you're a Kickstarter backer, please make sure the campaign has your shipping address by filling out the address survey Kickstarter sent out, or update a previous survey if you have moved and were in a combo tier. We are in the process of organizing with different fulfillment centers now to deliver your rewards ideally by the end of May. If you were not a backer, no worries! We plan to have them on our webshop on a TBD date. Anyways so much going on, but more to come as we're working our way towards a fun year and developing a feature film. THE JACKET Available for Pre-Order! 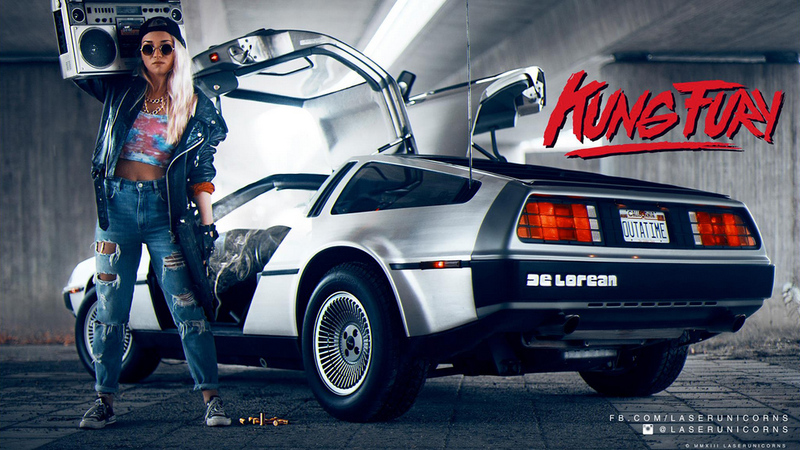 If you missed the first pre-order deadline, no worries at all, due to fan demand we have extended the pre-order for The Jacket on shop.kungfury.com. It comes with its own exclusive song by Mitch Murder, and for this run only FREE SHIPPING when you place a Pre-Order! Also, the music video that started us down The Jacket highway has also been nominated in VEVO's The Year in Vevo: (laughing teary eyed emojis). If you have a chance to vote for True Survivor, visit here: http://www.vevo.com/c/EN/US/yearinvevo. Click a right arrow on the 1st webpage to see our funny category. Even #LOLTrueSurvivor counts as a Vote! We also know we've had lots of hiccups and delays with our project but we can't thank everyone enough for the super support we receive as the Kung Fury fan base continues to grow. Our Netflix launch gained a whole new audience these past few weeks and that's been crazy exciting. More fun stuff is happening and we want you all to know we are working our best towards your Kickstarter rewards with our resources and will always update our community when there is awesome news to share! Dedicated to the backers who made this film possible. Courtesy Of Quiet One Recordings LTD. The KUNG FURY original motion picture soundtrack is available on vinyl, download and streaming services. Financial support by the Swedish Film Institute, film commissioner Helen Ahlsson.